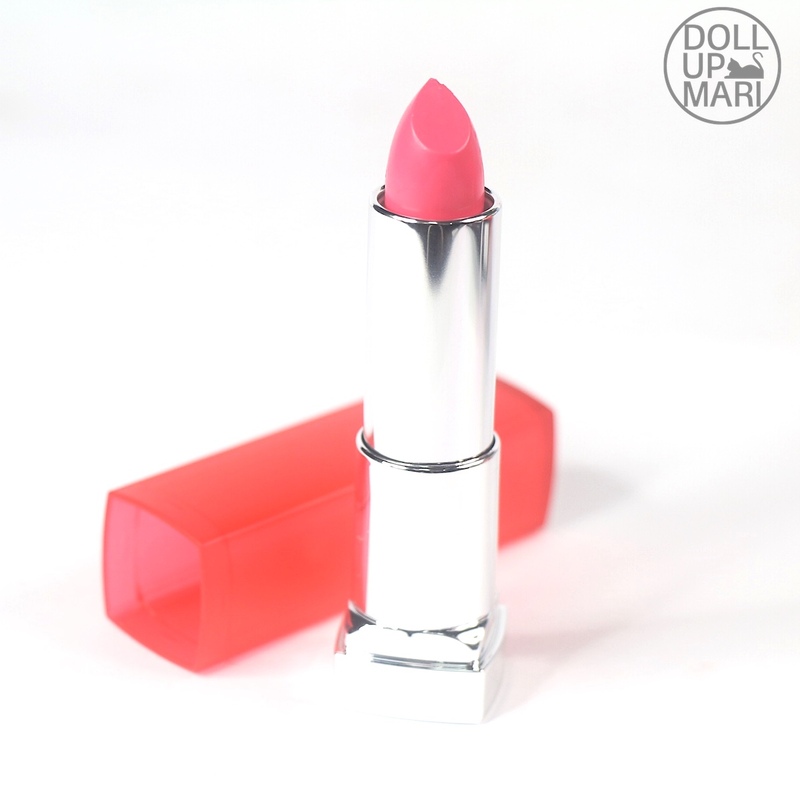 In yet another dizzying blog post, this is yet another Vivid Matte collection from Maybelline! 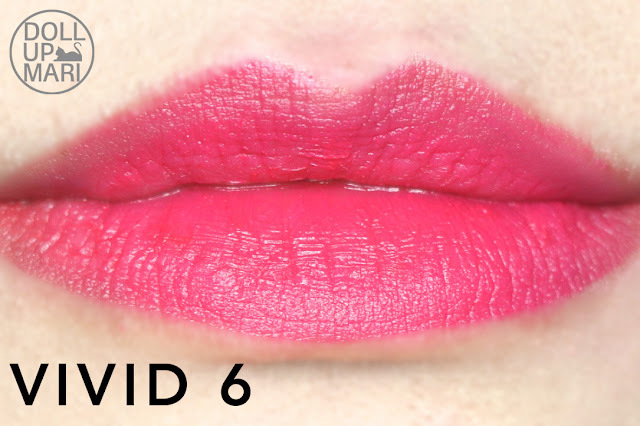 You may have just seen me do a review over Vivid Matte lipsticks, and yes, these are also Vivid Matte lipsticks. They're not an addition to the existing collection, and the existing collection was not banished in favor of this. And to add to the confusion there are Maybelline Vivid Matte liquid lipsticks. 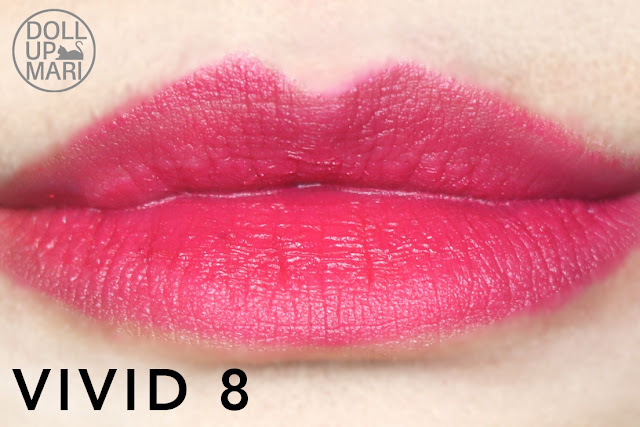 So this is, safe to say, the last lip release for Maybelline to cap off a very strong, if not its strongest, year in its lippie game. 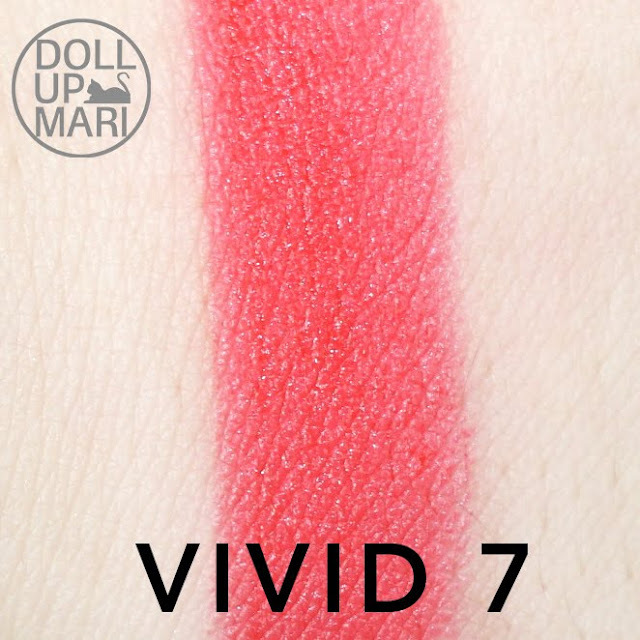 This year, we were blessed with Maybelline's Lip Gradation, Rosy Mattes, Vivid Mattes, Lip Flush, Creamy Matte Brown Nudes, Lip Flush Bitten Lip, and then this. And I am sure there were releases that they did that they just didn't spend a marketing budget over (like 1-2 additions to existing collections) but the new products are already in store. 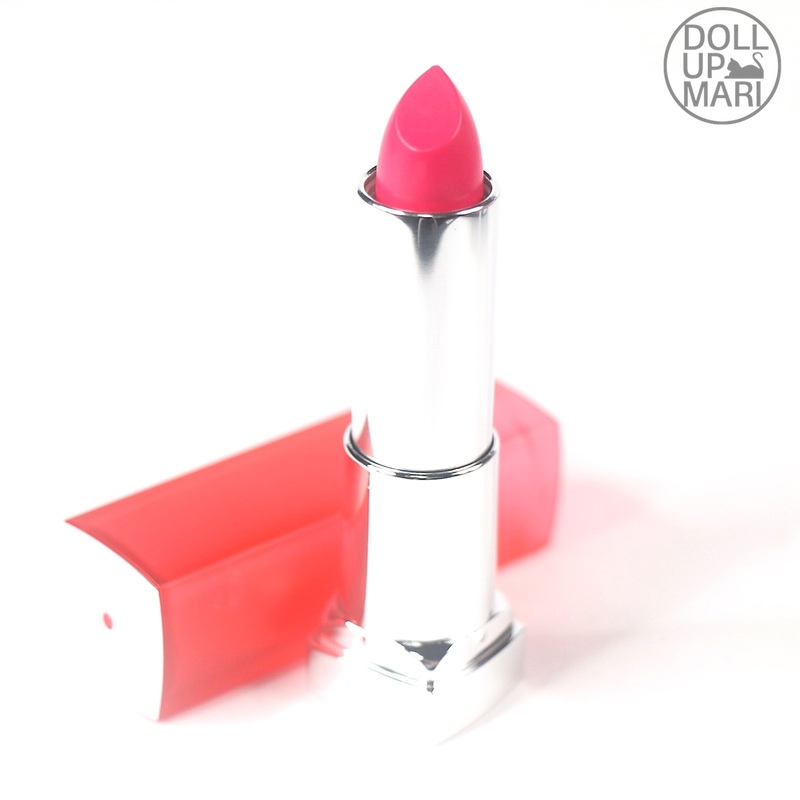 But I swear the Maybelline lip family grew tremendously this year, and sales soared to a new unprecedented level when Liza took the reins as the newest Maybelline girl last August. 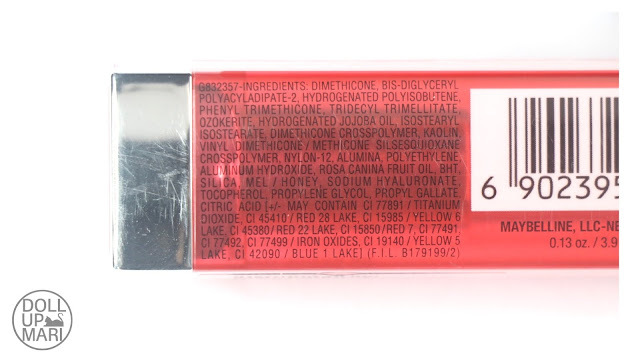 So this is the packaging, identical to the packaging of Maybelline's Bold Mattes. For the concerned citizens out there, here are the ingredients. Shade Selection: This is difficult to judge because I am not sure if the company made this to take off from the existing collection or to make this a standalone collection altogether. While this starts with Vivid 5 and the previous one ends with Vivid 4, the difference in packaging and the lack of official confirmation makes it hard to come to conclusions. 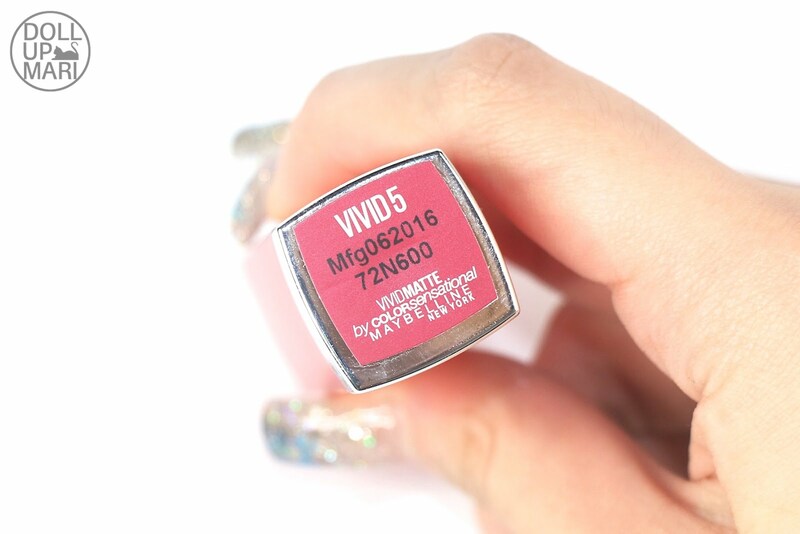 If this is meant to be an addition to the previous collection, then it's good because it's a deeper exploration towards pinks and reds. 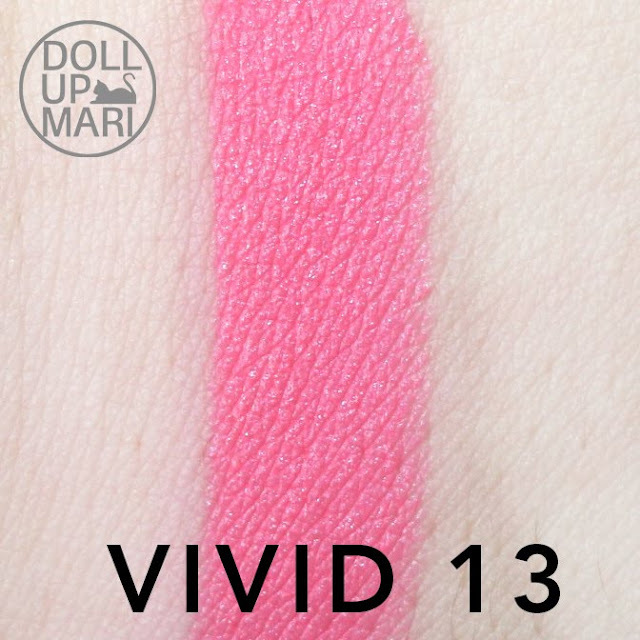 If it's its own collection, I feel that none of the shades were electrifying enough to earn the name "Vivid Matte"
Color Payoff: What you see is what you get from these shades. 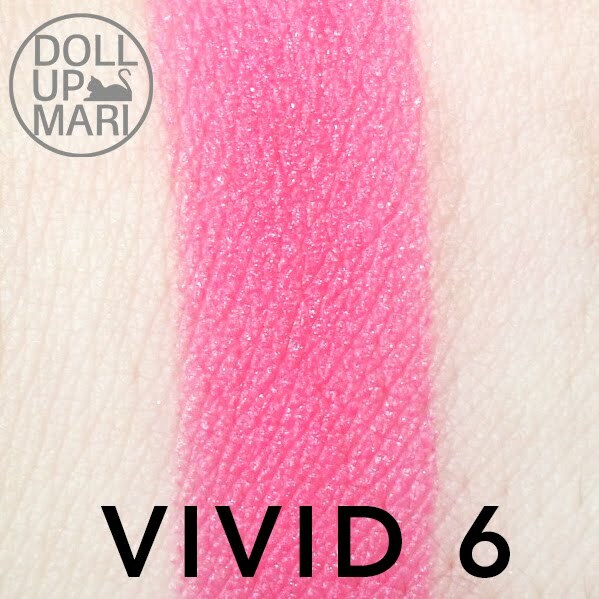 But these are arguably less intense and less shocking than the core Vivid Matte collection. However, I feel that one thing nice about this is that this is more wearable for everyday given that the shades aren't so shocking and attention grabbing. Pigmentation: This is more buildable than the former Vivid Matte, although it also means that it's a weaker formulation if intensity is the basis of judgment. This doesn't go on as opaquely on the first swipe as the core Vivid Matte, and it takes a few swipes before this goes on opaquely. 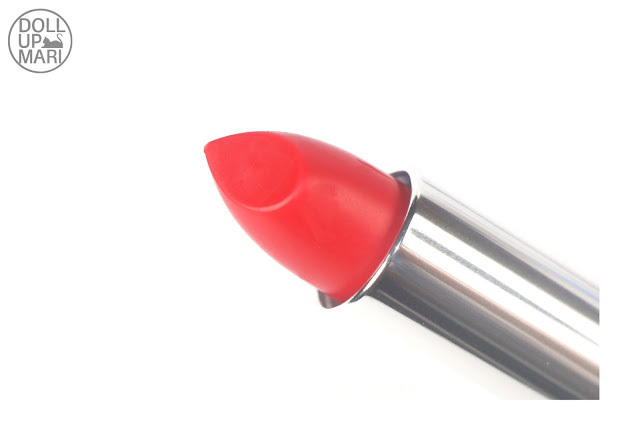 But for the purpose of everyday makeup, the option to not go so intensely will serve as a benefit to some users. 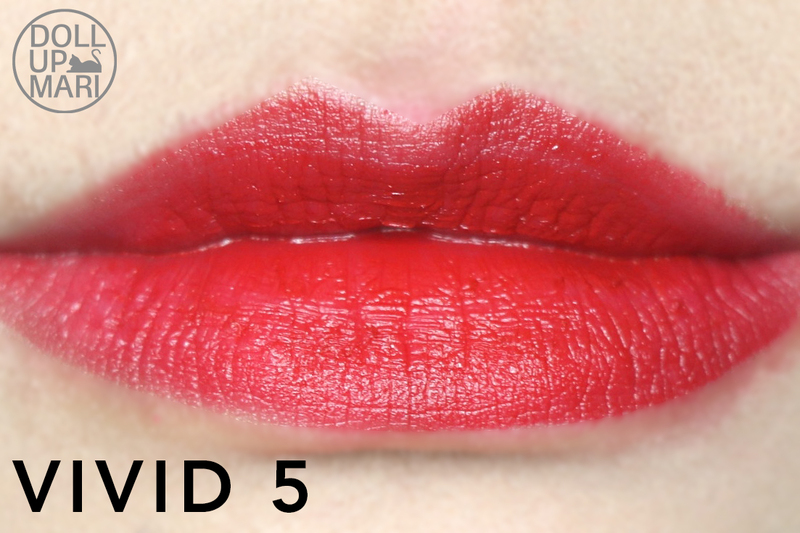 I thought it was psychological at first until I swatched this side by side with the former Vivid Matte. The former really is more opaque and more pigmented. 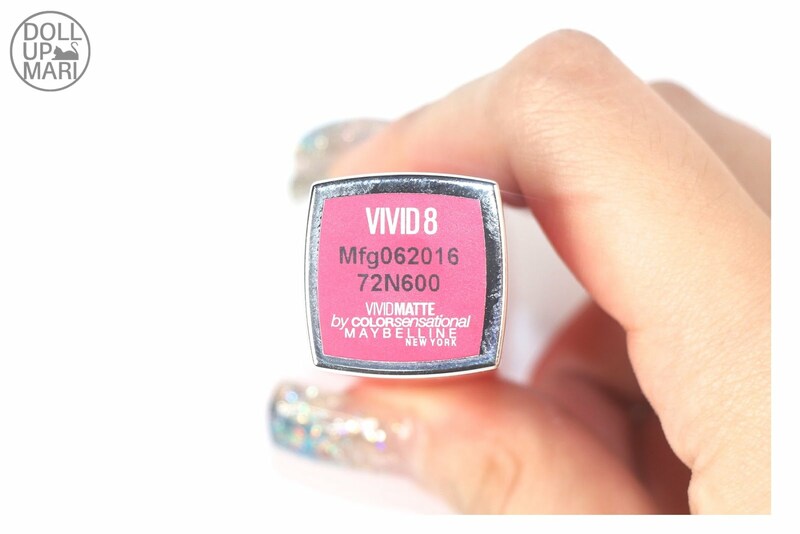 Texture: Almost all Maybelline releases for this year have a similar texture, only Creamy Mattes deviates from it with a slightly wispier and "fluffier" (it's slightly lighter and airier) formula. In general, this is buttery and creamy, though one can also feel the slight powderyness in the formula. 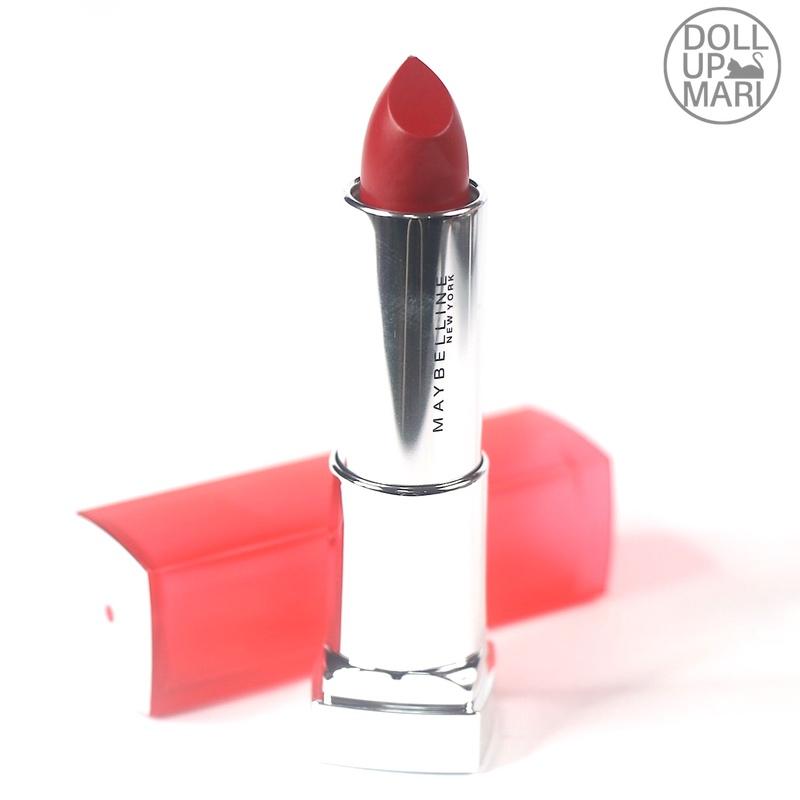 This is not as buttery as Creamy Mattes, but it's generally the buttery Maybelline goodness we all love. Comfort: As with all other MNY releases this year, this a comfortable and nourishing thing to own. 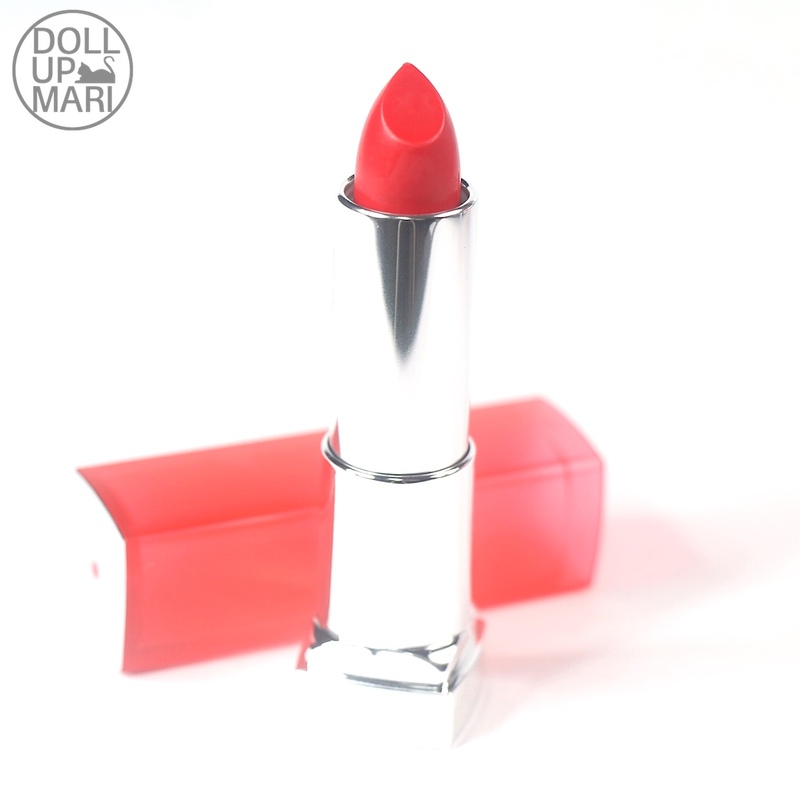 It glides on smoothly and doesn't give a sticky feeling to the user. 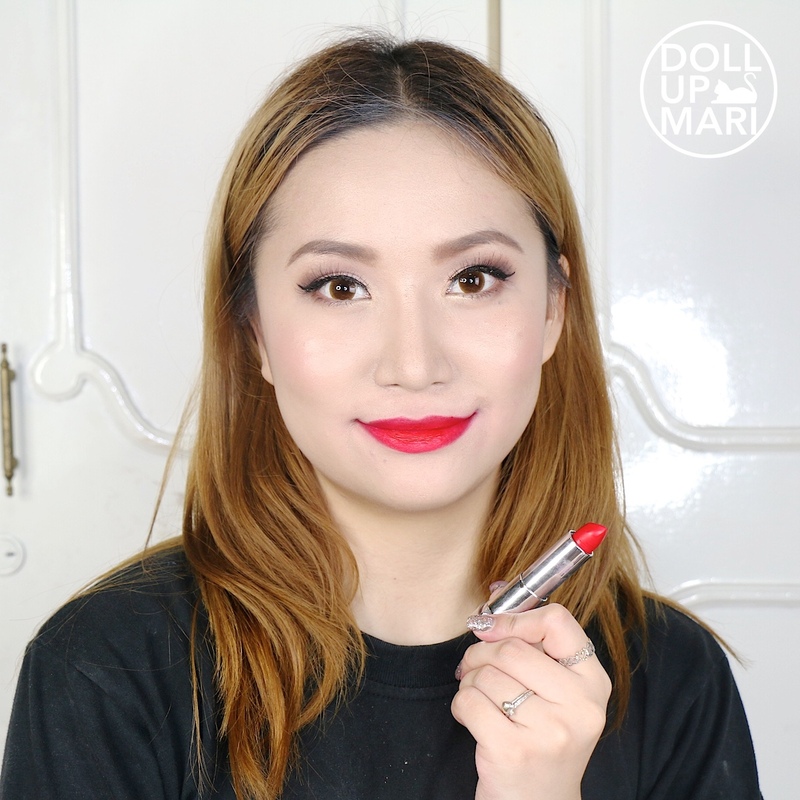 Compared to Creamy Mattes this may pass off to more sensitive users as a "heavier" feeling on the lips, but this isn't as heavy as other matte entries in the market to bother anyon. 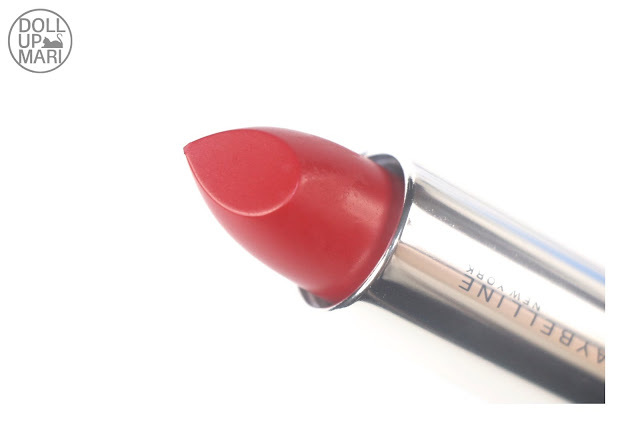 Longevity: Like the rest of the releases, this doesn't last very long as this leans more on the comfy side rather than on the uber matte side. This stays moist for about 2-4 hours depending on one's activities. Tint wise, this leaves a good, strong tint. 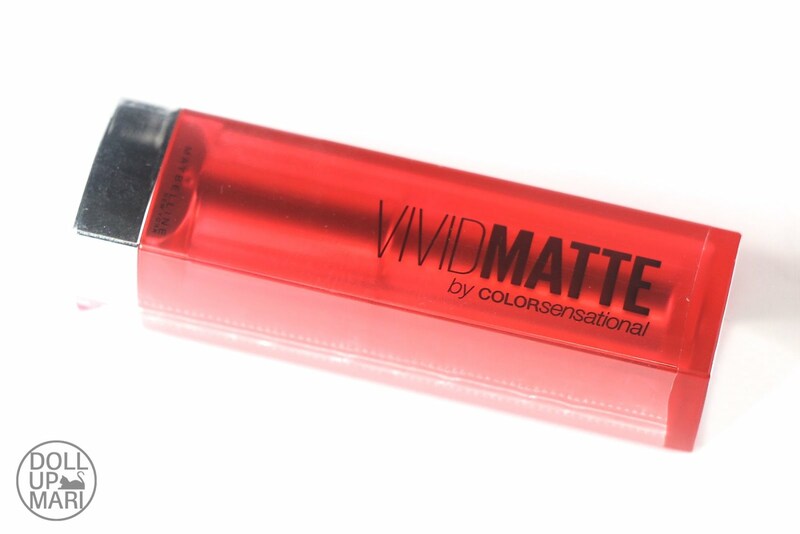 But the tint it leaves isn't as strong as what the core Vivid Mattes do. 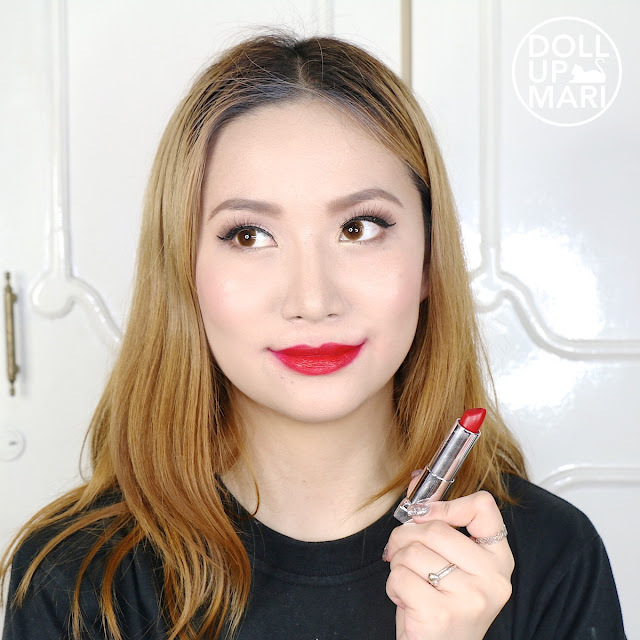 Value For Money: If one is looking for affordable high quality lipsticks, then these are good. For Christmas gifts, these will also be good and will surely put a smile on your recipient's face. But if I will put this up against all the other Maybelline releases for this year, I would say that it's better to put one's money on the core Vivid Matte collection or the Creamy Mattes if one is after matte pinks and reds. This lacked the sh'bam I was looking for that I found in the other Vivid Matte collection, and it lacked this certain level of sophistication I found in Creamy Mattes. 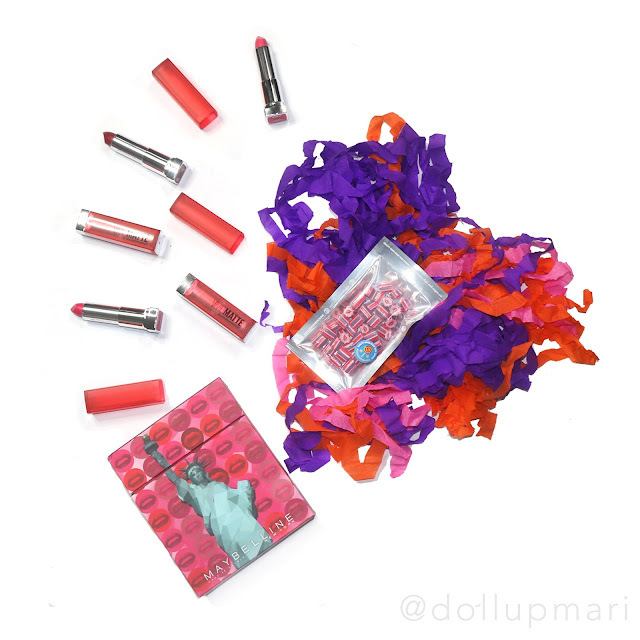 This isn't a bad collection if one will simply judge it as a lipstick collection at face value, but it just isn't as good as its Maybelline cousins (which just happen to be too good for the market right now). 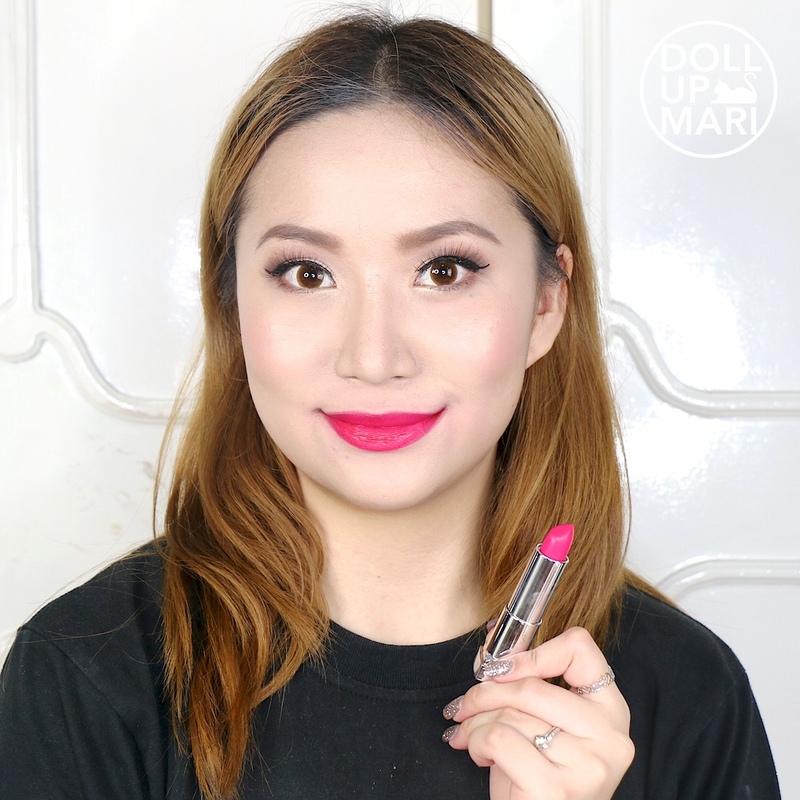 Overall Feedback: For those who are looking for specific shades/undertones of reds and pinks that other Maybelline collections do not have, this is a good way to fill in the gaps and make pinks and reds for even more skintones. This collection was good in adding more options to the Maybelline universe. Since this is made with Maybelline's updated formula, these are all buttery and comfortable. 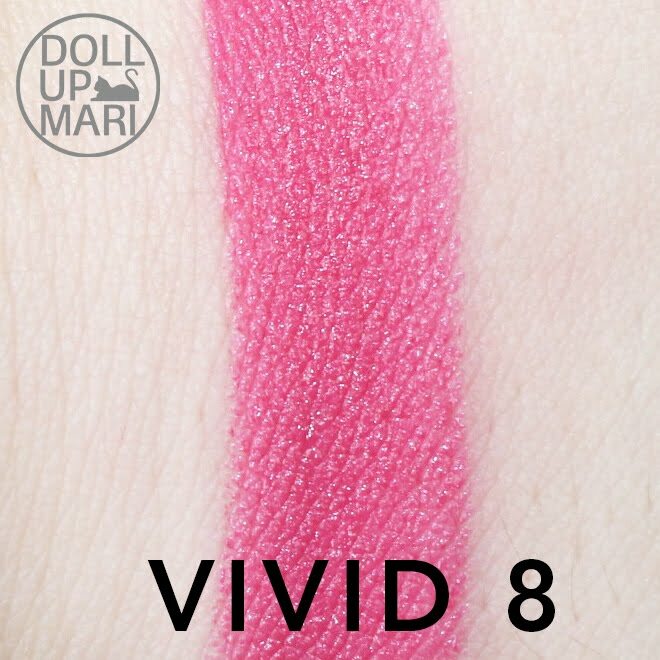 However, if one is looking for something standout or something extraordinary in this collection, perhaps one needs to turn one's cheek to Maybelline's other industry disrupting releases for this year. On the flipside, though, if you are someone who's scared of sporting red and bright shades, or will give a gift to someone who has such sentiments, then this will be a good item. 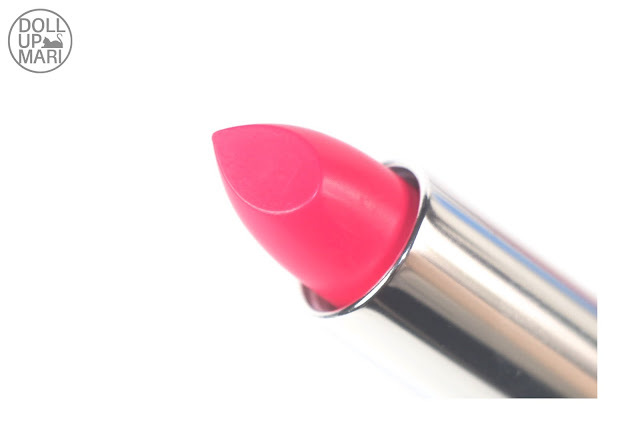 This is something that will be a good beginner's item, more so that there are a lot of people who find cheery pinks and reds as too overpowering for themselves. And yaaay let's get down to the shades! This is a very blue based red. This is much bluer than Vivid 1. 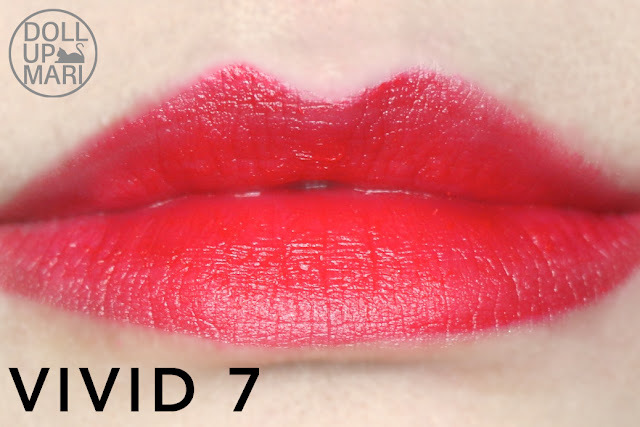 This is a more muted kind of red. 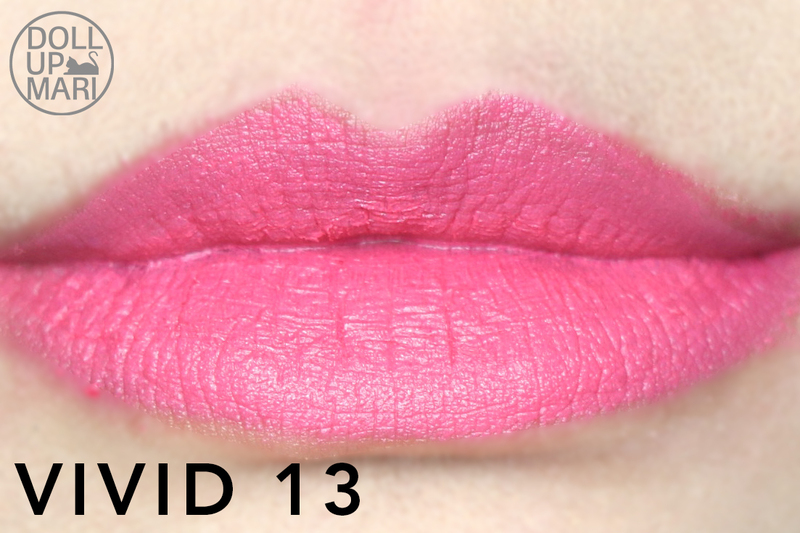 This is a muted fuchsia, akin to Vivid 3 from the original Vivid Mattes, only fainter. This is a mostly cool shade to me. 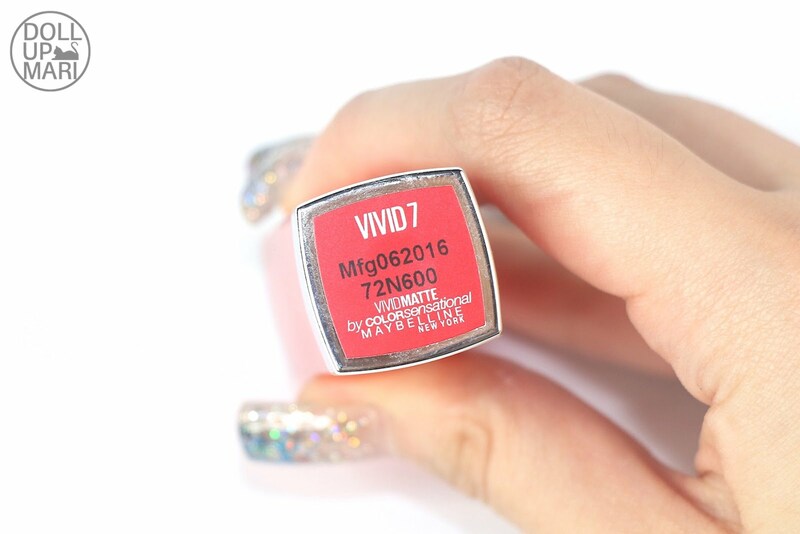 A true neutral red, it's safe to say there are no bluish undertones to this at all. But it's also a bit of a fainter kind of red. Now this is the true fuchsia. The true purple pink. This is a bright cheery plummy pink. 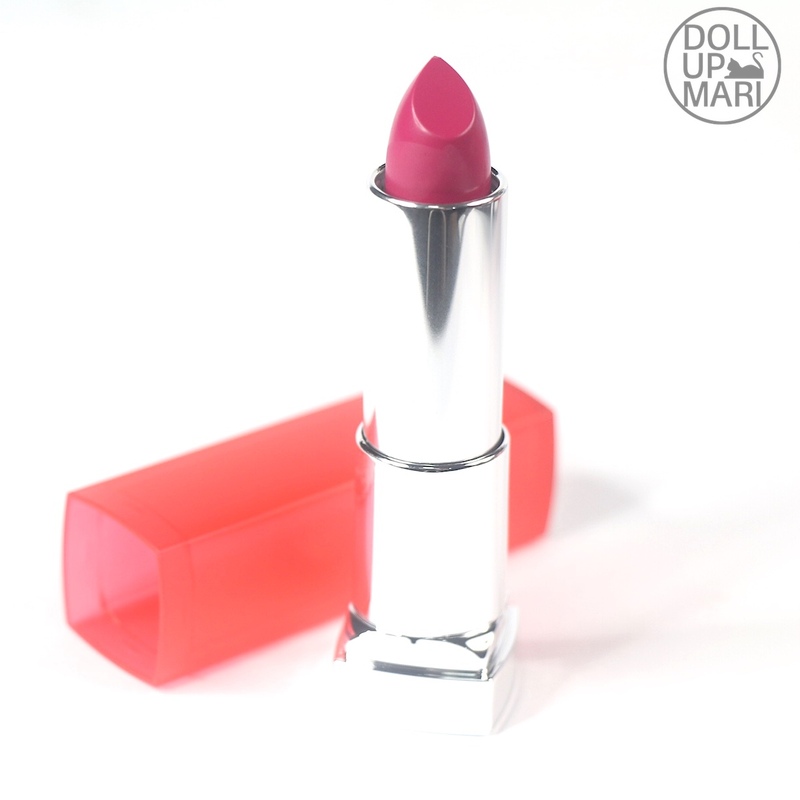 This ended up being one of the most intense shades in the bunch for some reason. Don't ask me, even I don't know how 8 skipped to 13. That escalated quickly. Perhaps Vivid 9-12 are available in other countries? But as for this one, this is a creamy pink with a touch of coral. This is too cheery to pass as a Rosy Matte so maybe that's why they put it here.